Head board fittings are used to connect wooden uprights on a headboard to the wooden head rail of a bed. 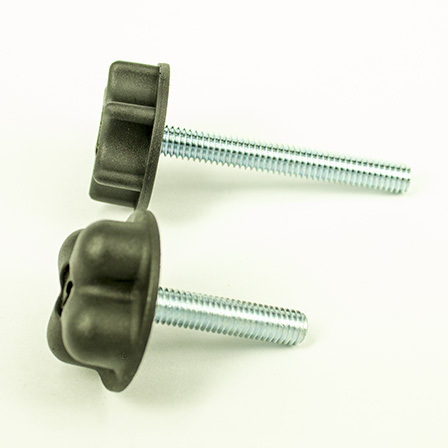 The threaded shanks of the bolts usually screw into Insert Screws, or possibly T/nuts, already inserted in the head rail of the bed. 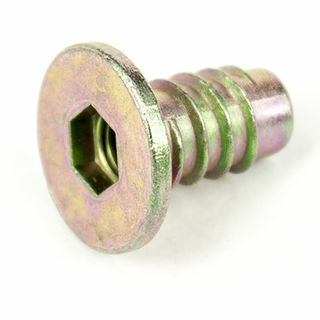 If necessary we can supply the matching Insert Screws as part of a set on our shopping cart. A combination of shank lengths and thread sizes is availbable. The standard shank length required is usually 60mm as it is often required to pass through quite thick wooden uprights. 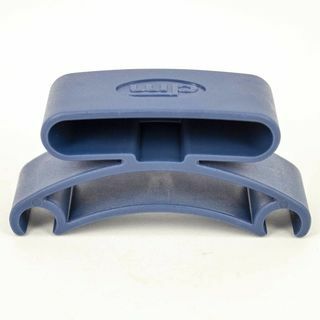 The plastic head is shaped into four easy-grip soft-edged sections for better cgrip when tightening the bolt. In addition the centre of plastic head is slotted to accept a straight blade screwdriver. 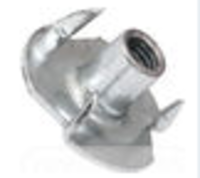 These threaded shanks are bonded inside the plastic head during production for greater strength. Note: It is important to identify the exact thread size of the Insert Screw or T/nut already inserted into the head rail of your bed. Two (2) main thread sizes are offered being the traditonal 5/16" and also the newer Metric M8 thread. 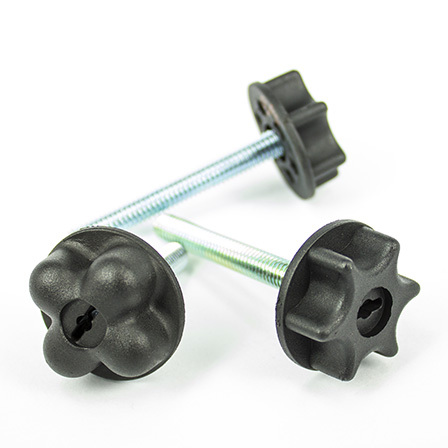 Even though they look very similar they are not interchangeable and a 5/16" head board bolt fitting won't fit into an M8 insert screw and vise versa. A hardware merchant can provide low-cost bolts of 5/16" and M8 thread so that the correct thread size can be selected. The other option is to buy head board fittings in both thread sizes and be sure that you have all options covered.